I heard this yesterday and I immediately stopped and had to write it down. It’s like my brain will only truly comprehend when something is written; when it is made true. And clear. You can’t argue with words on paper. 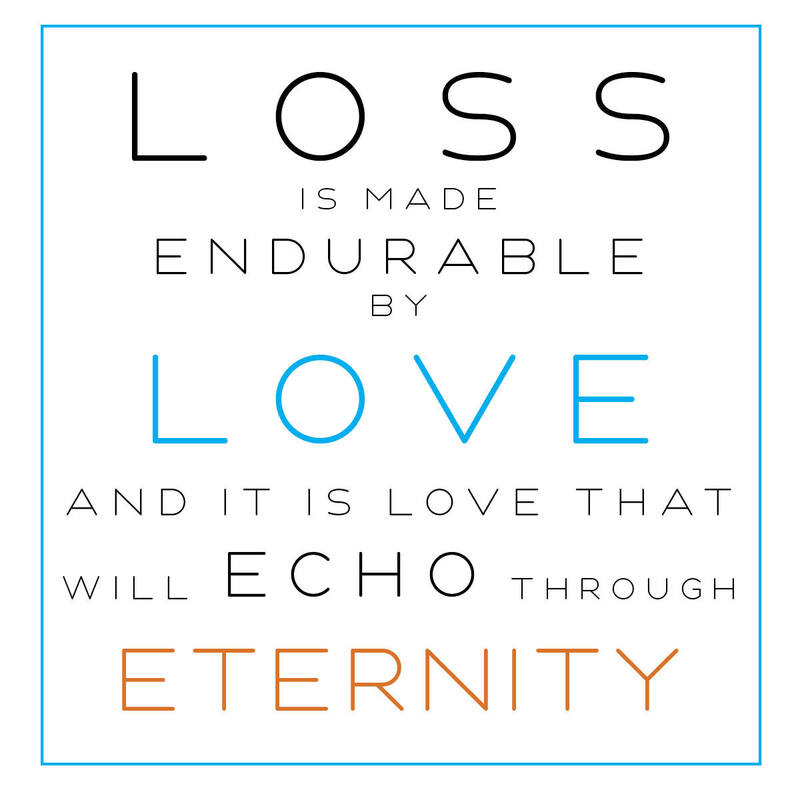 Loss is made endurable by love, and it is love that will echo through eternity. To me, it’s a quote that I can wrap myself in. It’s optimistic. This morning I listened to my voicemail again – the voicemail my Mom left me on my birthday in August of 2013 – just days before she died. I closed my eyes and I less listened to the words, but more to the tones… the inflections… the breaths that were taken in between sentences. I could hear the love in her voice. Literally, this life-altering, heart-shattering loss has been made endurable by love… and it is love that will echo through eternity. Faith, hope and love. But the greatest of these is love. I find myself staring at my keyboard as I type. The thumping and excitable drive to tell her every single thing that is happening in my life has waned a bit. I know that I have lived my life for one year and nearly two months without speaking to my Mom. Without seeing her. Without texting her. Without her. But I also know that there isn’t one day that alludes me without thinking of her. This is not, Hallmark card, “I think of you often” – this is real-life, everyday, “I think of you every day. I remember you everyday. I try to feel you everyday. « My fingers are crossed. Another for you. This one echoes for me in my own life. In Blackwater WoodsBy Mary OliverLook, the treesare turningtheir own bodiesinto pillarsof light,are giving off the richfragrance of cinnamonand fulfillment,the long tapersof cattailsare bursting and floating away overthe blue shouldersof the ponds,and every pond,no matter what itsname is, isnameless now.Every yeareverythingI have ever learnedin my lifetimeleads back to this: the firesand the black river of losswhose other sideis salvation,whose meaningnone of us will ever know.To live in this worldyou must be ableto do three things:to love what is mortal;to hold itagainst your bones knowingyour own life depends on it;and, when the time comes to let it go,to let it go.